American. Singer-songwriter, cantorial soloist, music educator and music director, who writes contemporary liturgical and spiritual music, primarily associated with the Reform movement. Deborah Lynn Friedman was born 23 February 1951 in Utica, New York. In 1956, the young family moved to St. Paul where she sang in the choir in high school and was active in youth movements. She graduated Highland Park High School in St. Paul in 1969. She went to Israel for a year and returned to the United States. She recalls 6 April 1971 as the date a melody came to her while sitting on a bus, and she composed V Ahavta, her first complete setting of a liturgical text, which she then taught at a PAFTY meeting at Rodef Shalom Temple. With the Borechu, Debbie mixed Hebrew and English in her prayer settings, possibly being the first to do so in contemporary music. That summer, at Camp Harlen, she tried out her songs on campers, whose response was overwhelmingly positive. From then on she started writing continuously. Over the course of her distinguished year career as recording artist, Debbie Friedman, has released over 20 albums and performed in sold out concerts at Carnegie Hall and in hundreds of cities around the world. Ms. Friedman’s discography of 20 recordings spans her career of 30 years. Her work has been lauded by industry critics and she has been honored by numerous national and international organizations with their most prestigious awards. 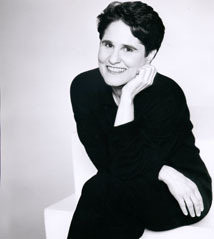 Debbie Friedman’s application of and melding of the American folk genre to Jewish liturgical music is credited with creating a whole new contemporary, accessible sound in Jewish worship music. She has appeared throughout the United States in Jewish organizational venues. While Debbie started her career in the Reform movement, the music and prayers she writes reflect her personal philosophy of inclusiveness and, as such, are not reflective of any specific denomination. Many of her melodies cross over into every Jewish denomination. Because of her own powerful commitment, her belief in the expression of the values found in the text, as well as the quality and beauty of her songwriting abilities, Debbie s music is popular among many religious groups. Her songs have universal, intimate and personal popular appeal. One of the most famous, Mi Shebeirach(the prayer for healing), is widely sung in synagogues and churches across the US, and many of her songs are sung in synagogues around the world.